Gabriel blow your horn! The angels certainly did sing for this revival of Fences, and August Wilson must have been smiling from heaven. The play itself is a tour de force; add the direction of Kenny Leon along with the brilliant acting of Denzel Washington and Viola Davis, shake it up and you have lightning on stage. I guess the best testament of this revival’s home run is the three Tony Awards it received. This one knocked it over the fence and out of the theatre. 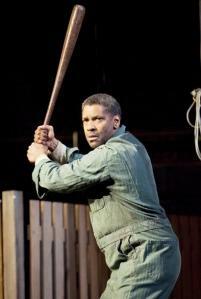 To read F.A.M.E NYC’s full review of Fences, click https://famenycmagazine.com/?s=Fences.